Namaste Yoga is a studio devoted to enthusiasts who aspire to discover the true essence of yoga and benefit from it. Namaste is usually spoken with a slight bow and hands pressed together, palms touching and fingers pointing upwards, thumbs close to the chest. This gesture is called Añjali Mudrā or Pranamasana. It means “I bow to the divine in you”. The center teaches yoga with humility and reverence, believing that the body and mind are pathways to one’s soul. With utmost respect and commitment, the instructors of the studio impart and assist students to get inclined with this way of life. 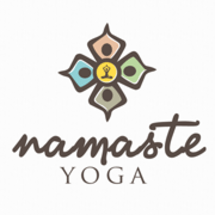 Namaste Yoga is serious and passionate about grooming its students to achieve a holistic connection with their body, mind, and soul, energizing them to lead healthy and disease-free lives (from disease to ease).